Apartment in Recoleta, Buenos Aires - Tiffany ! Chic 1720 square feet two bedroom apartment in the best location of Recoleta, close to major sights and with views of the park — Amazing both day and night! 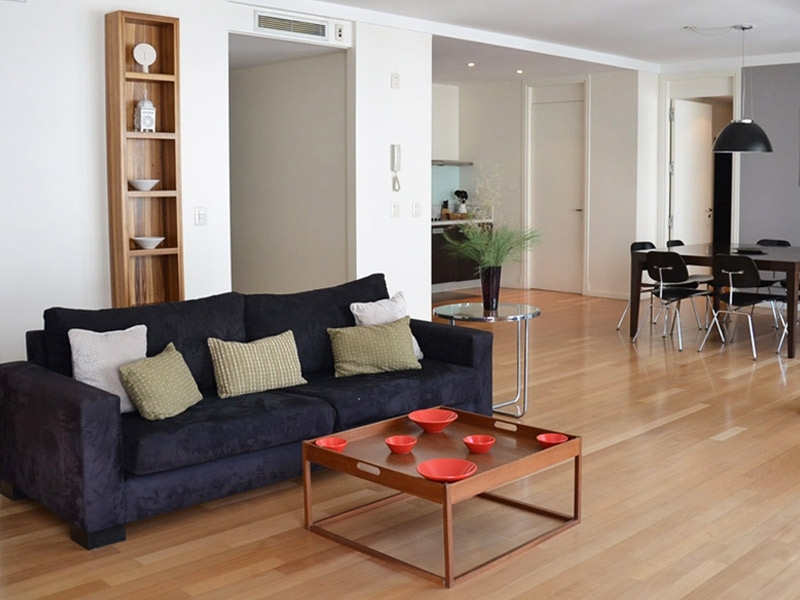 This luxurious apartment for rent in Buenos Aires is located in the heart of Recoleta, the most elegant and vibrant neighborhood in Buenos Aires. Set on the 6th floor of this high end classic building, the impressive balcony overlooks Plaza Vicente López, one of Recoleta’s historic plazas. No expense was spared in the complete renovation and furnishing of this apartment. The living room is both spacious and light filled, thanks in part to the panoramic windows that lead out onto the balcony. Furnished in a traditional style, with comfortable and plentiful seating, cable TV and an impressive outlook. The dining area is a great place to entertain, should you decide to cook at home. The kitchen is a chef’s delight and has been completely renovated to a high standard. Granite countertops and modern appliances complete the package. This great apartment has two bedrooms, both ensuite. The master bedroom has a king size bed and the second bedroom has a queen size bed. The bathrooms are fully renovated to exacting standards and feature marble countertops and bathtubs. Tiffany is in, perhaps, one of the best locations of historic Recoleta, with its parks, plazas, tree lined streets and cultural attractions. This apartment will definitely exceed your expectations.